Step 1: Measure out where you want you Lolly pops to be. 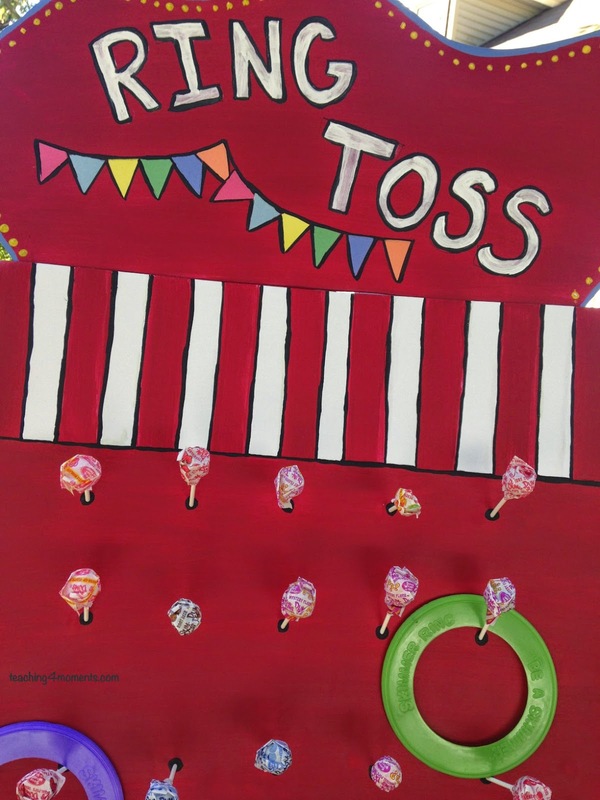 Use your nail to poke holes into the poster board at a downward angle where you want the lolly pops to sit. If you nail is slightly smaller than the sticks, these will fit snuggly. Paint it how you'd like! I added black paint surrounding each hole to make them stand out better on the red. 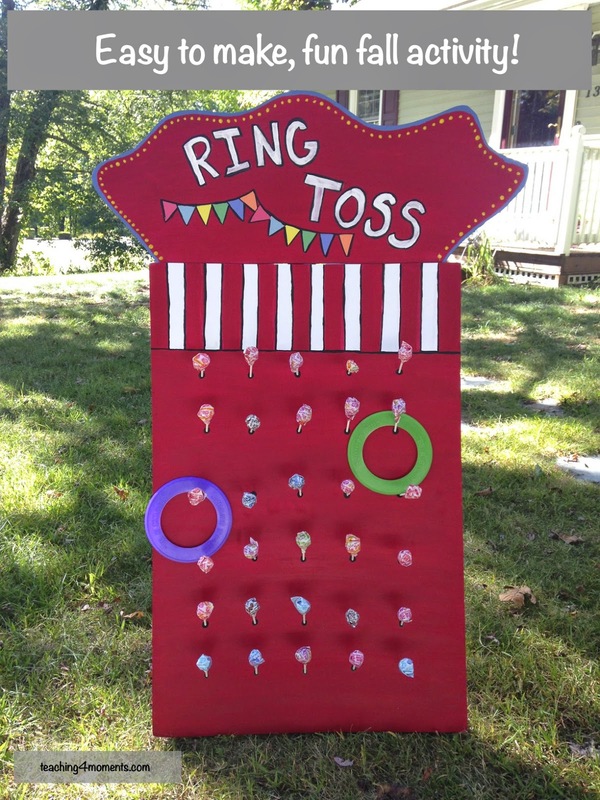 Back of ring toss game-not pretty, but very stable! Step 4: Play! 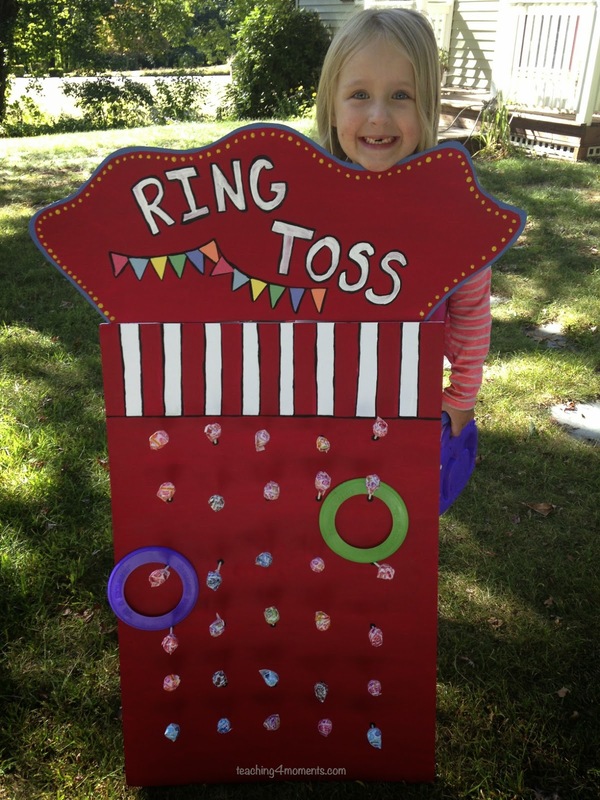 Have the kids throw the rings at the board. Whatever it rings around, they get to keep! Have fun!